Cllr Jagdish Sharma has been elected leader of the London Borough of Hounslow. His appointment along with nine others to the council’s executive took place on Tuesday 25th May at the first meeting of Borough Council since the local elections. 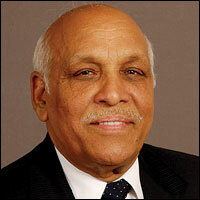 Jagdish Sharma has been a local councillor for 36 years, and has been the leader of the Labour group since 2006. He said, “It is an honour to be elected leader, and I’m proud to have the chance to serve the people of the borough. “I will be working with my colleagues on the executive to deliver our five pledges, which we believe will improve life in Hounslow. • A 24/7 team of Grimebusters to tackle graffiti, litter, and dumped rubbish, and a direct dial phone number for immediate action. The meeting also saw nine other councillors appointed to the council’s executive.